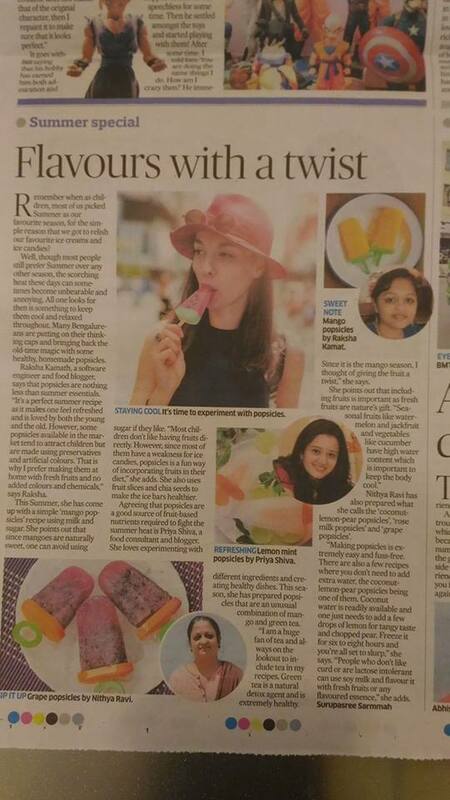 My mango popsicle recipe was featured on Deccan Herald Metro Life supplement, Bangalore edition. 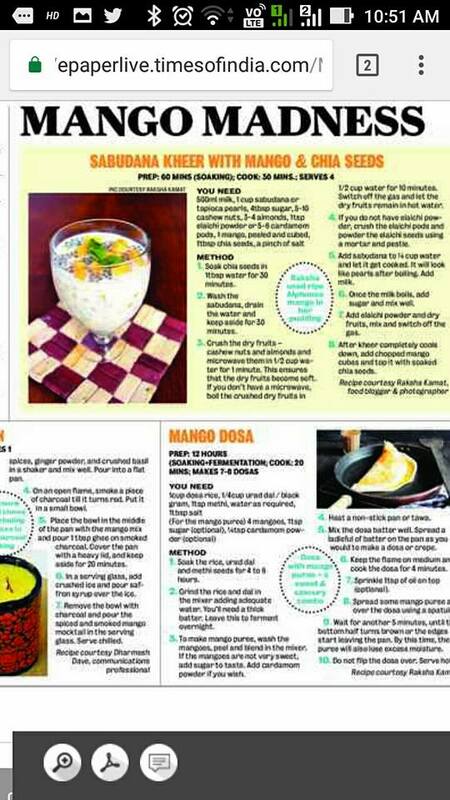 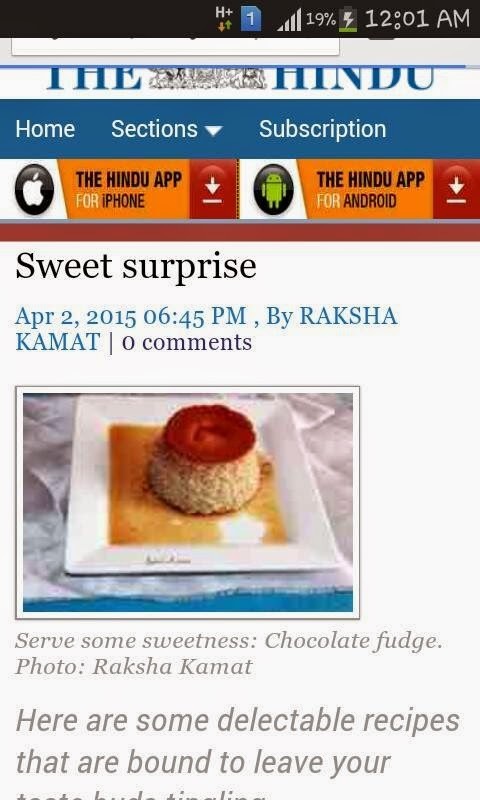 My innovative recipes Mango Dosa and Sabudana Kheer With Mango and Chia seeds got featured on Bangalore Mirror. 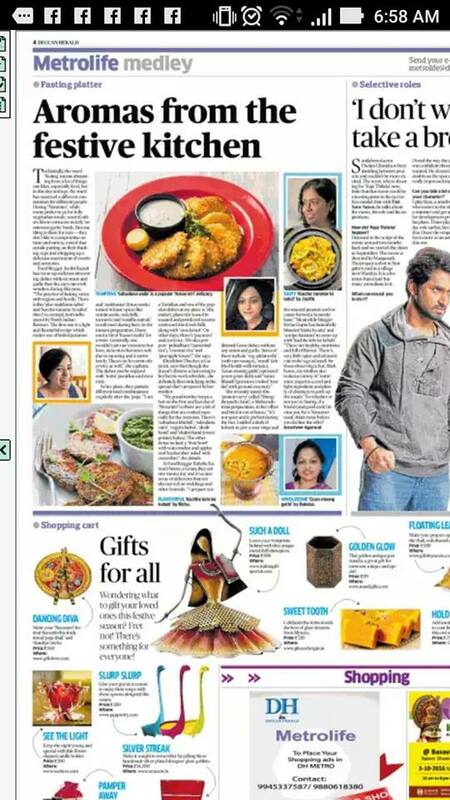 Read the post online. 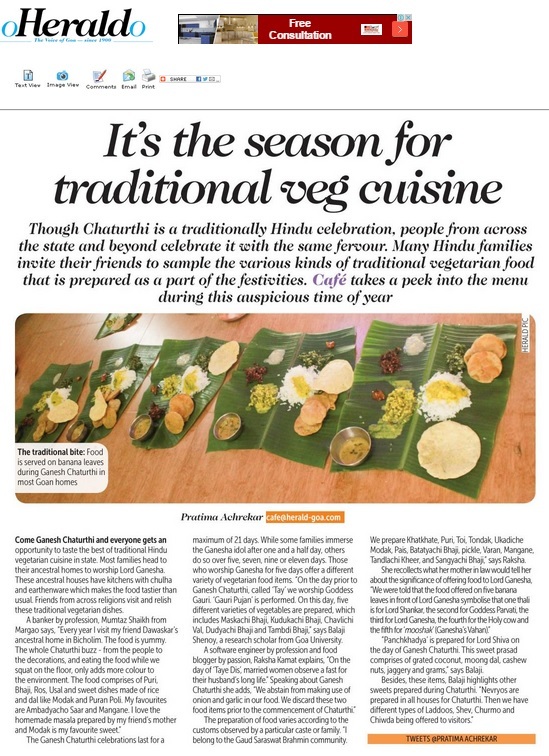 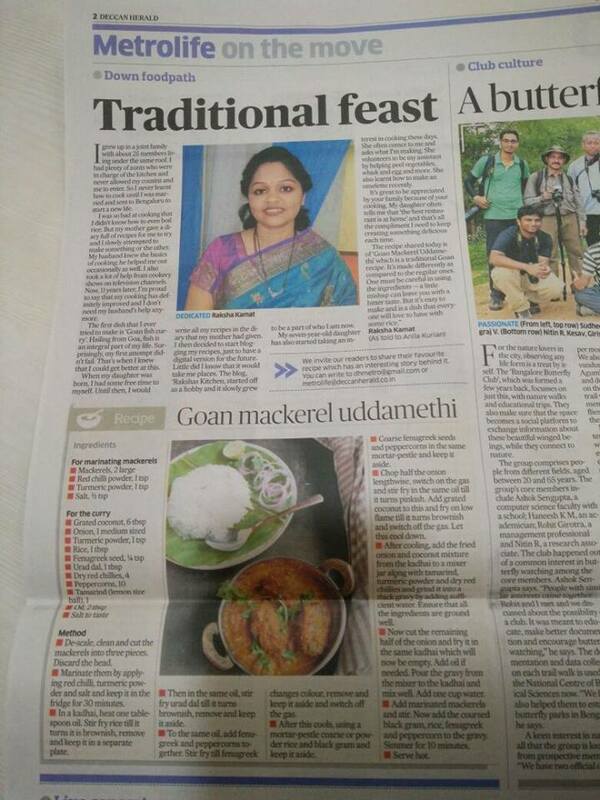 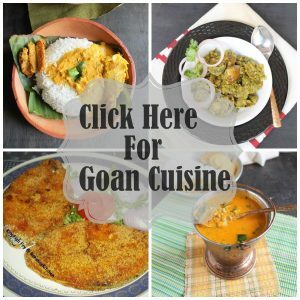 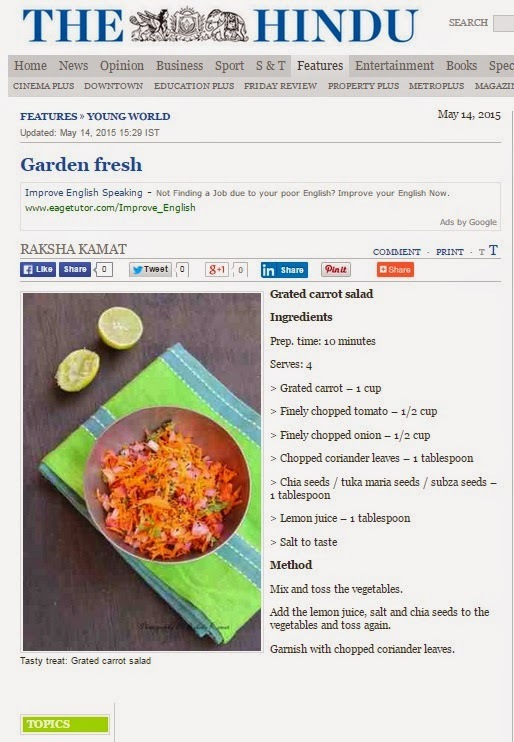 My recipe Goan Mooga Gathi was featured on Deccan Herald Metrolife supplement during Dussera. 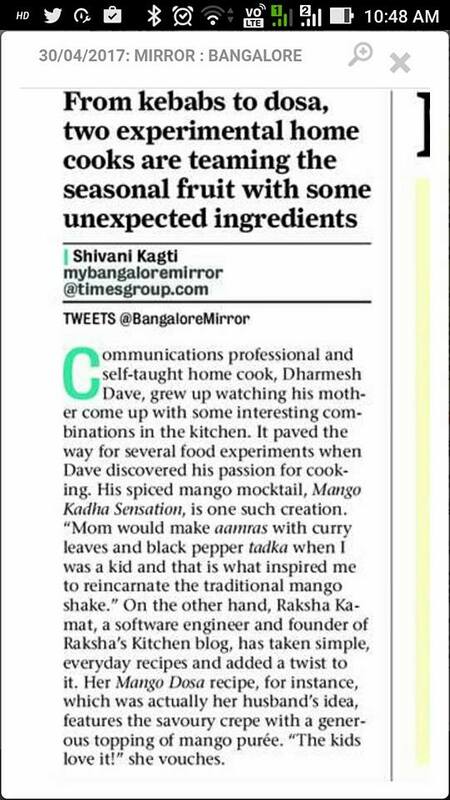 Read my first interview which got published in Smart Indian Women. 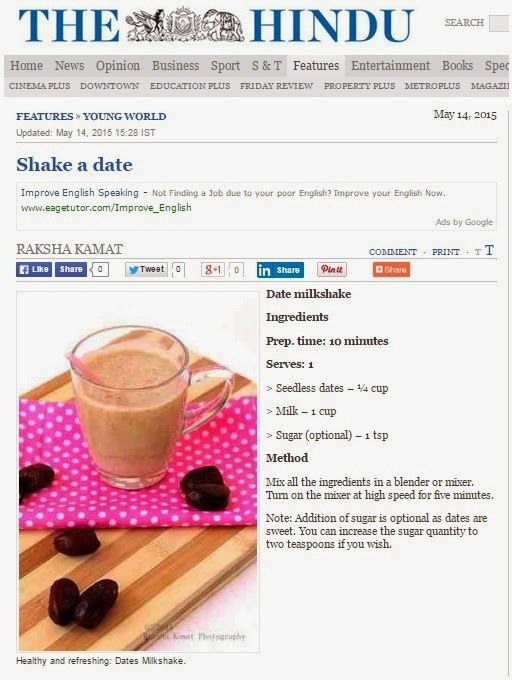 Click on this link www.smartindianwomen.com. 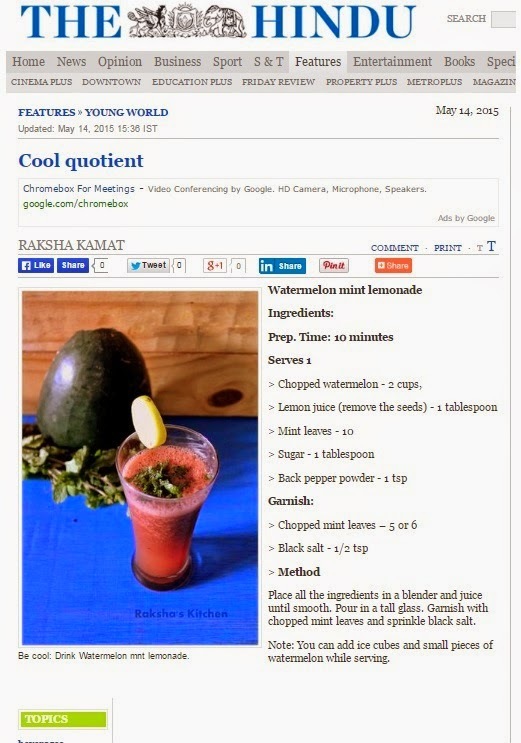 Also check out the various awards I won in various blogging and cooking contests.